We demonstrate fourier transform profilometry using circular fringe patterns instead of the standard vertical sinusoidal fringes. This has the advantage of being more impervious to misalingments because of the symmetry of the fringes. We discuss why it is better to use circular cosines as fringes than bessel functions which are normally used as the basis for radially symmetric images. We confirm by experiment that although the fourier spectra of circular cosines are not delta function rings we still are able extract the 3D profile of the object using fourier transform profilometry. Lastly, we discuss some approaches to reduce the artifacts of filtering the fourier spectra. J. P. Narag, G. J. Doblado, and N. Hermosa. 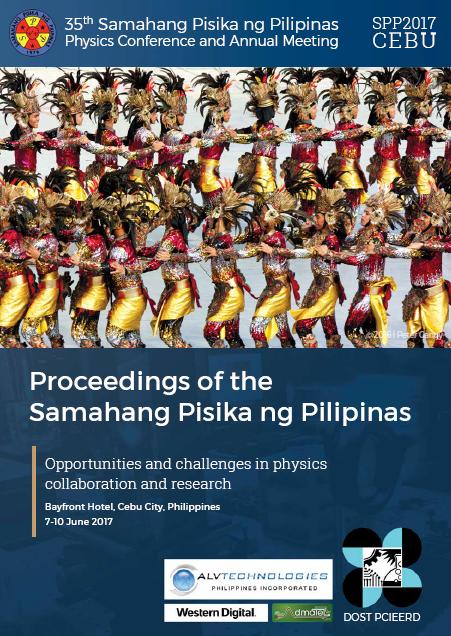 Fourier transform profilometry using circular fringe patterns, Proceedings of the Samahang Pisika ng Pilipinas 35, SPP-2017-PA-21 (2017). URL: https://paperview.spp-online.org/proceedings/article/view/200.